But Boy and Girl want you to be careful! 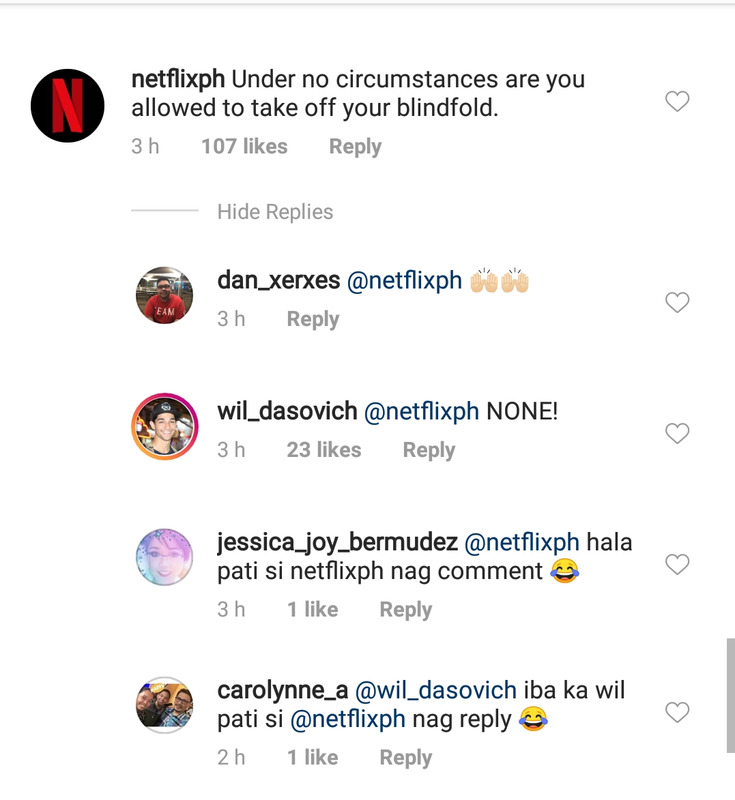 Netflix Philippines took notice and responded. 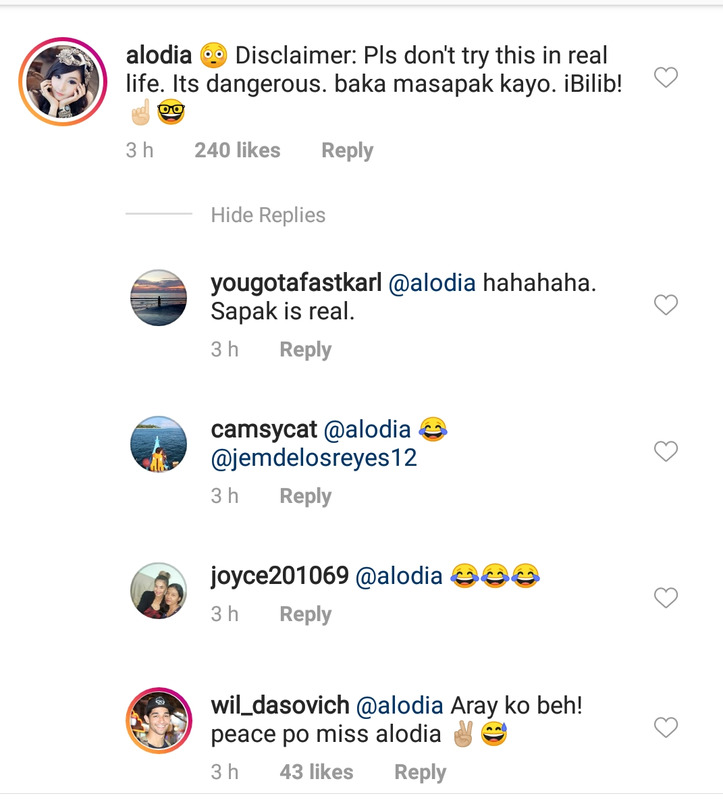 Alodia commented on his antics: "Disclaimer: Pls. don't try this in real life. It's dangerous. baka masapak kayo. iBilib!" 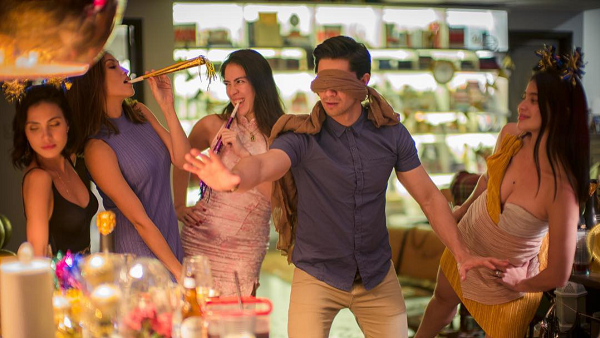 Alodia posted a Bird Box meme on her Instagram account: "New Year's Resolution diet be like... Happy New Year! !...Please don't try this at home. We have a highly trained crew to keep tabs on us the entire time we did this. Which was less than a minute. Have you guys watched it yet?" Netflix reported on December 29, 2018 that 45 million accounts have viewed the film. Just today, Netflix issued from its primary Twitter account a word of caution to those joining the craze. While we wonder what unfortunate outcomes prompted the advisory, whooshes and disturbing noise from the Bird Box song "Outside" start playing in our heads!